Who To Watch From Indiana At NCAA D1 XC Championships LIVE On FloTrack! Signup/Upgrade To MileSplit Universal To Watch! 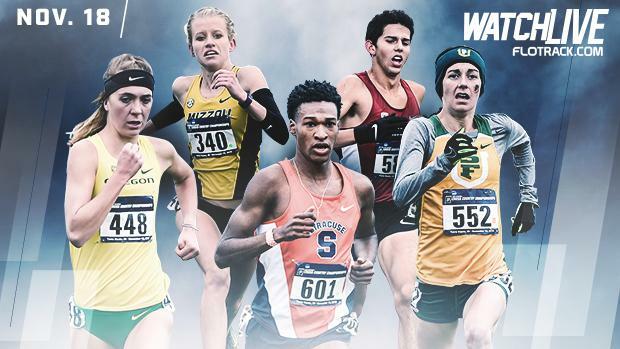 WATCH NCAA DIVISION 1 XC CHAMPS LIVE ON FLOTRACK! This Saturday's NCAA Division 1 Cross Country Championships in Louisville, Kentucky will feature home grown talent from the state of Indiana representing various colleges and universities around the country. Below can find a list of all competitors entered to race at NCAA D1 Nationals from the state of Indiana. The Indiana University women's cross country team advanced to the NCAA Nationals with a squad that includes 5 runners recruited in-state. Neeley Bethany F SR North Carolina St.
Click HERE to watch NCAA Division 1 Cross Country Championships LIVE on Saturday, November 18th starting at 8:00 AM CST on FloTrack!